UHY ECA S.A. was established as a result of the merger of Auxilium S.A. and ECA Group, a professional consulting group, whose entities have led the industry rankings since they came into being. We have therefore created a dynamically developing group which provides comprehensive services in the areas of auditing, taxes,accounting accountingaccounting, training and stock exchange consulting. Our success lies is a well-selected team of employees whose professionalism and experience enables Clients to entrust us with running their affairs and have complete trust in the results of our work. 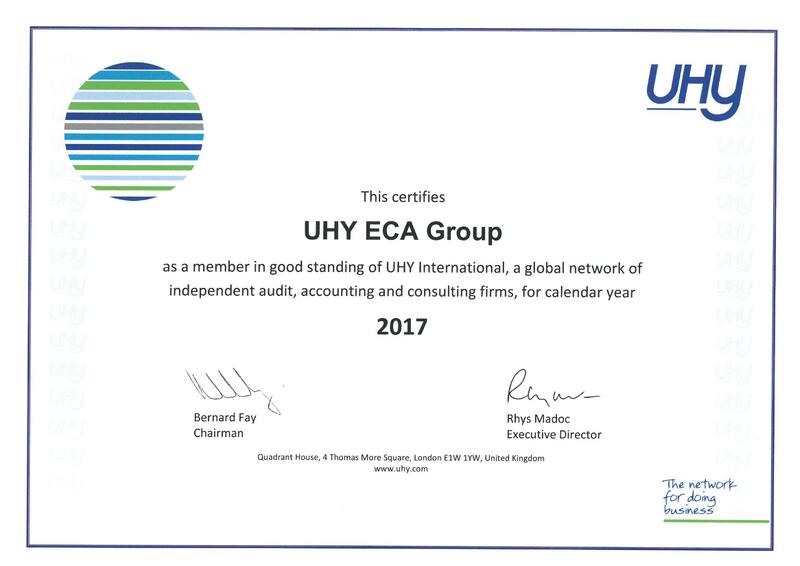 UHY ECA S.A. experts support Clients in solving their tax problems and provide them with auditing, stock exchange consulting and accounting services as well as training. We endeavour to draw on the best of our experience, combining high quality services and professionalism with independence. Relationships with our Clients are based on partnership and mutual trust. 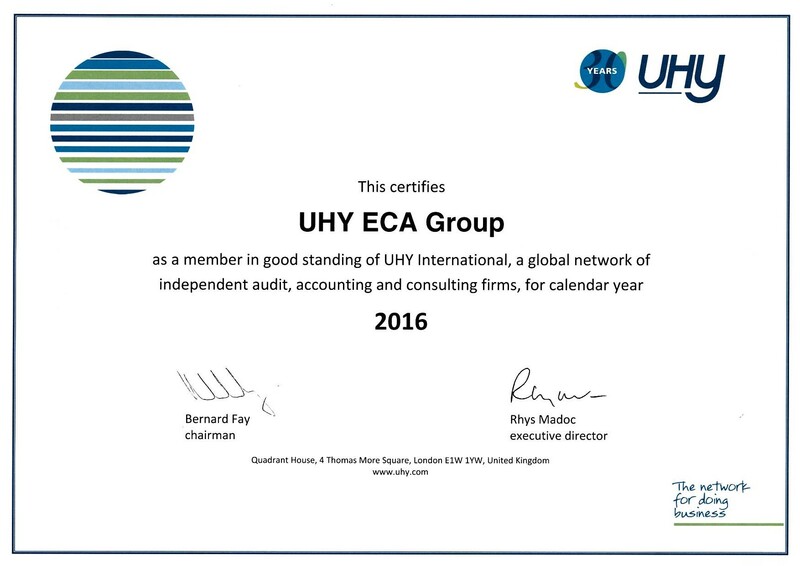 UHY ECA is a member of the UHY global network established in 1986, with registered seat in London, Great Britain. The network includes companies providing auditing, accounting, tax and business consulting services around the world and, according to the income criteria, is the sixteenth biggest global network. Currently, UHY possesses offices in 320 main business centres and encompasses more than 90 countries. We are an Authorized Advisor to the New Connect market, Partner of Warsaw Stock Exchange and Member Firm of AHK. 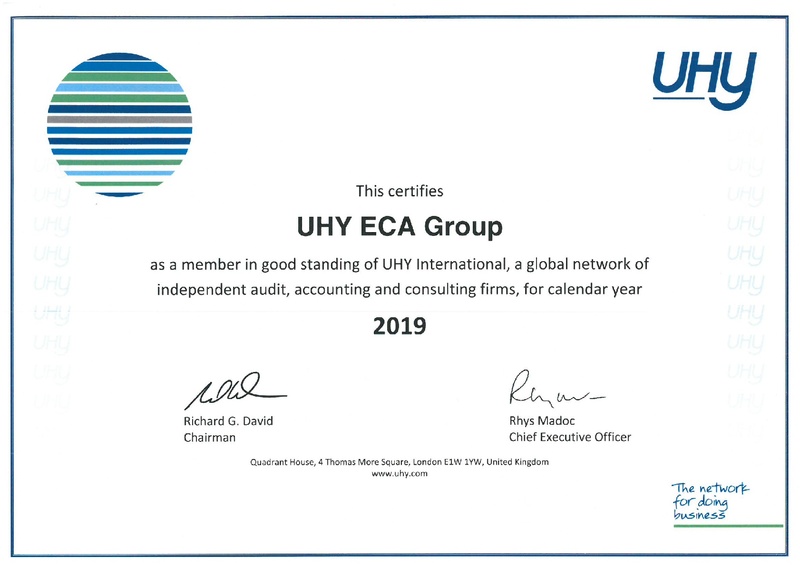 The Firm UHY ECA S.A is a member of Urbach Hacker Young International Limited, a UK company, and forms part of the international UHY network of legally independent accounting and consulting firms. UHY is the brand name for the UHY international network. The services described herein are provided by the Firm and not by UHY or any other member firm of UHY. Neither UHY nor any member of UHY has any liability for services provided by other members. 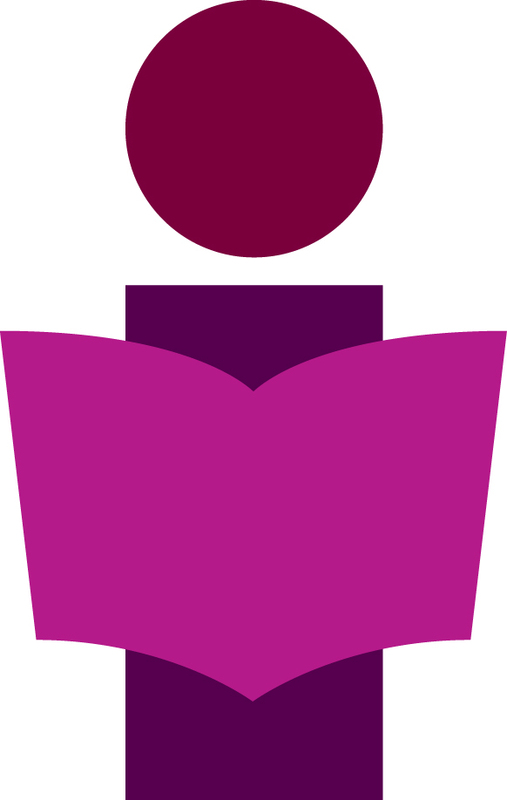 Get access to the latest and the most important information, publications, reviews, experts’ comments and invitation to free events! Be the first one who knows what’s going on. UHY ECA in the top 10 audit firms in Poland! UHY is a world leader in audit, accounting, tax and business advisory services. Find out more about us. 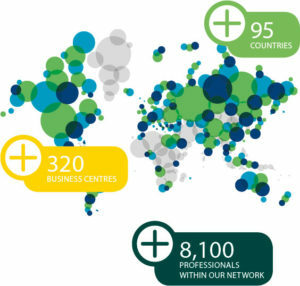 UHY has over 8,200 professionals operating in over 300 business centres across more than 100 countries. Find out where we are.